The windows around your property might give you a clear view out the outdoors but the proper way to clean them can be unclear. There are a lot of theories as to how to clean glass properly but their execution can be, well – muddy! 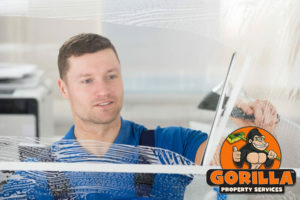 When you choose Gorilla Property Services for your Brandon window cleaning, you get quality results every time. Choosing to hire professionals means that you get not only expert staff, but top of the line results. Gorilla Property Services has a long list of satisfied clients all across Canada. A reputation like that does not happen overnight! 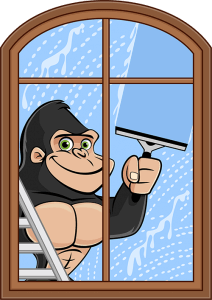 For decades, our Gorillas have been swinging to the rescue with our Brandon window washing service. Our services come in all shapes and sizes in order to meet the needs of your property. Gorilla technicians have an eye for detail and are not afraid to be meticulous! Washing windows by hand is a great way to ensure results. Rubber squeegees are combined with environmentally friendly cleaners and used to clean glass, sills and frames. By using a rubber squeegee, instead of a rag or paper towel, excess static is eliminated from the window surface. The friction caused by wiping the surface of glass attracts dirt, making your windows look dirty right away! Gorilla technicians are prepared for those hard to reach spaces as well. Our Gorillas vehicles are equipped with water fed poles, allowing us to reach new heights. 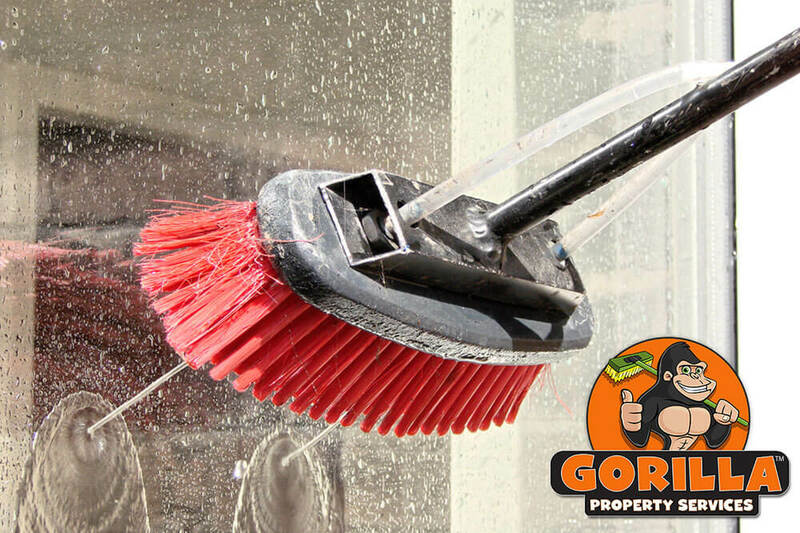 With these tools, windows up to four storeys can be clear and shining with help from our Gorillas. When it comes to our Brandon window washing, care is key. Unlike some other property service companies, all of our cleaning solutions are eco-friendly. By using these types cleaners, we remove the threat of damage to your windows and the surrounding area.